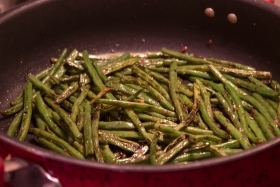 Have you made Browned Green Beans? 1. 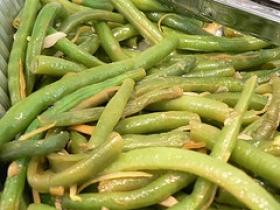 Trim ends from beans, and remove strings. 2. 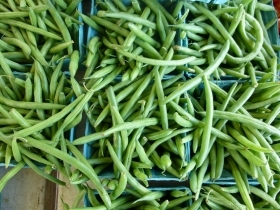 Cut beans in half lengthwise, slicing through the seam on each side of beans. 3. Heat oil in a large skillet over high heat. 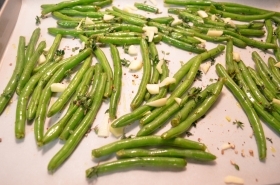 Add beans, and cook 5 minutes or until lightly browned, stirring frequently. 4. 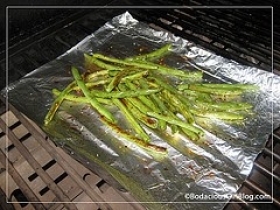 Reduce heat to medium and gradually add broth, salt, and pepper; cook 2 minutes. 5. 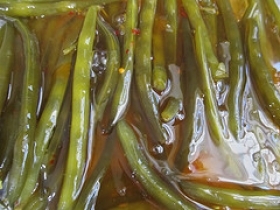 Remove from heat; stir in lemon juice. Serving size: 3/4 cup. 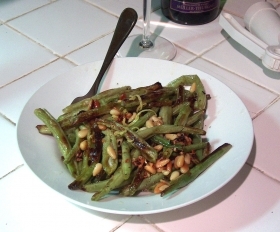 This recipe contains potential food allergens and will effect people with Lemon, Beans, MSG, Poultry, Sulfites, Fructose Malabsorption allergies.